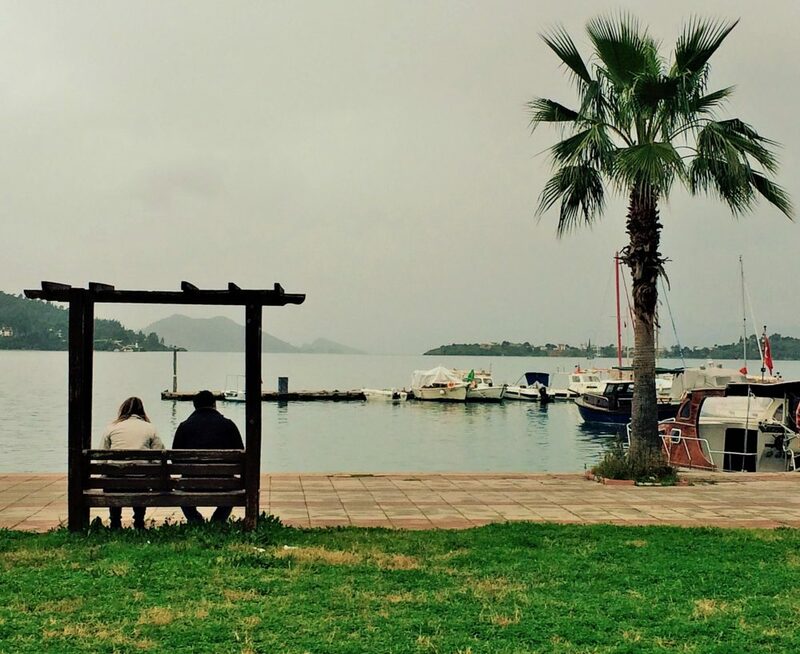 The Muğla region has endured one of the worst winters in living memory – but it may not be over just yet. There have already been tornadoes, powerful winds, flooding and some spectacular thunderstorms along the Turquoise Coast right from Bodrum to Antalya. However, another storm system is currently edging its way eastwards across the Mediterranean and seems set to make landfall in Turkey from around 10pm this evening. Forecasters are predicting yet more heavy rain and high winds with the potential for damage, continuing into tomorrow afternoon. 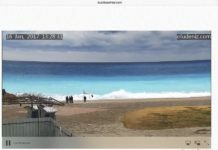 The storm is the latest to be generated by a series of low pressure systems which have developed over the Mediterranean since December, sweeping across the Greek Islands before slamming into the Turkish coast. 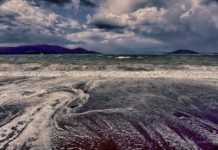 The severe weather has caused flash flooding in Bodrum and storm surges which have damaged seafront properties in Marmaris and Fethiye and even along the lakeside in Köyceğiz. 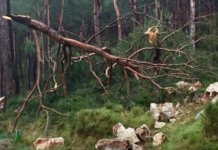 A tornado ripped through Kumluca in the Antalya district last month, causing an estimated 100 million liras’ worth of damage, while another damaged aircraft and ground vehicles at Antalya airport. 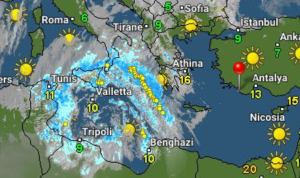 The storm system heading for Turkey shown on the Weather & Radar app at 10.38 this morning. The sheer volume of rain which fell around Fethiye last week also led to storm drains bursting their banks in the mountain village Üzümlü while farmland and a number of homes in the Belen and Kınalı area of Kayaköy had to be evacuated as water levels rose.